Home/21 Reasons why you should choose a South African University/College? We have an impressive list of Universities to choose from. Currently there are 16 operational Universities that you can choose from so why should you opt to go to a South African University instead? Why should you choose to go to South Africa above Zimbabwe Universities? Why should you go to a South African University instead of say going to another country such as the United States? Top ranked worldwide and in Africa- South African Universities are dominate world and continent rankings by a wide margin when compared to local Universities that rank low. There is a wider selection of courses at these Universities. There are courses that are simply not offered by Zimbabwean Universities but are available in South Africa for example Aeronautical Engineering. World class learning centers. While the authorities and a lot of people may choose to ignore it, the economic crisis has had its toll. Lack of chemicals, teaching aids, facilities plagues our local Universities. This is especially true if you are into sciences. Cutting edge equipment- South African Universities have better equipment by far when compared to Zimbabwean Universities. World wide recognition-as a country’s global reputation plunges so does the appeal of its graduates. The fact is you stand a better chance abroad if you have a South African qualification compared to a Zimbabwean one. Less corruption-you can never eliminate corruption but the current environment has seen corruption rise unchecked at local Universities. Get employed in South Africa- with unemployment rates estimated to be around 90% i.e. only 1 in 10 people of school going age is employed your chances of getting employed are better in South Africa. They are even better when you have a South African qualification to show. Networking- if you are into business/career growth you can meet more people who can help you succeed in life than would be the case if you went to the University in your nearby town. Easy to get a student visa-while there are some student Visa requirements that have to be fulfilled they are nothing compared to the hostile interrogation you will face at Western Embassies like the United States, Canadian and British Student Visa applications. Familiar currency- the currency is very familiar and obtainable in a lot of places. It’s not as hard to get as say the US dollar, Euro or British Pound. A lot of people keep tabs on the exchange rate. Cheap and Easy to send cash/clothes etc- whenever you/your child gets needs something these things can be easily and cheaply send using any number of ways. You can just send them via RoadPort this is cheaper compared to courier (parcel) services like DHL and FedEx. Cheaper Universities and Lifestyle- living expenses in most other developed countries are extremely expensive when compared to South Africa. World Class recognized Universities- while there are cheaper countries to live and study in they are not as reputable as South Africa and it’s Universities. Universities such as Wits University and University of Capetown are known and respected world over. Cheaper healthcare and social services- Social services and Healthcare is word class and cheaper in South Africa. In conclusion, if you want to study abroad then South Africa should be your first choice. Their Universities are affordable and world renowned. 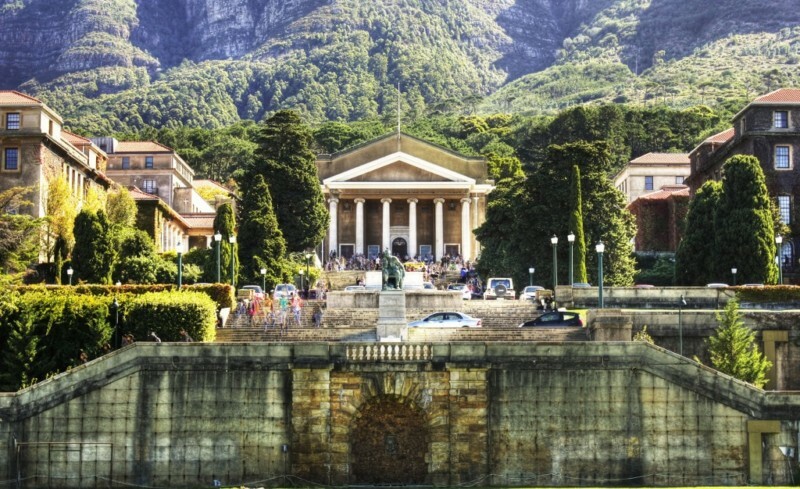 By Garikai Dzoma|2017-05-10T08:15:37+02:00May 8th, 2017|Comments Off on 21 Reasons why you should choose a South African University/College?